Budget "Three Suns" knockoff lounge set. Available in some downloadable form from online vendors so I will not be posting a sample. Shindo "east/west" sound makes this Capitol set as fresh sounding today as when it was pressed back in the "space age". From the back cover: In his sparkling debut as a Capitol recording artist, young Tak Shindo offers a brand-new concept in music, combining the exotic sounds of ancient Japanese instruments with modern, big-band orchestrations, in tempo and moods that range from ballads to swing. 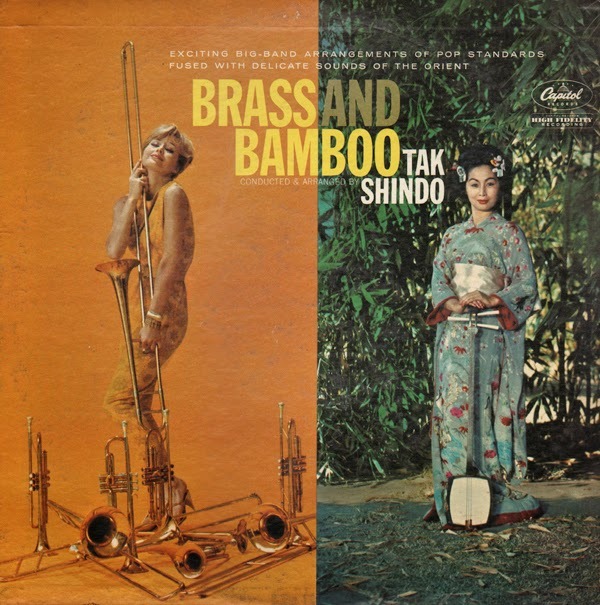 This, indeed, was a mammoth undertaking, as brass, flutes, clarinets, drums, bass, guitar, and vocal chorus were blended with the koto (the thirteen-string zither whose strange, harp-like tones are heard throughout the album), Kabuki drums, the samisen (three-string guitar), bamboo flutes, Buddha temple gongs and an assortment of bell and chimes. To add to the difficulty, Miss Kazue Kudp, featured here on koto and samisen, speaks limited English and reads only Japanese music, having only recently arrived her from her native Japan. 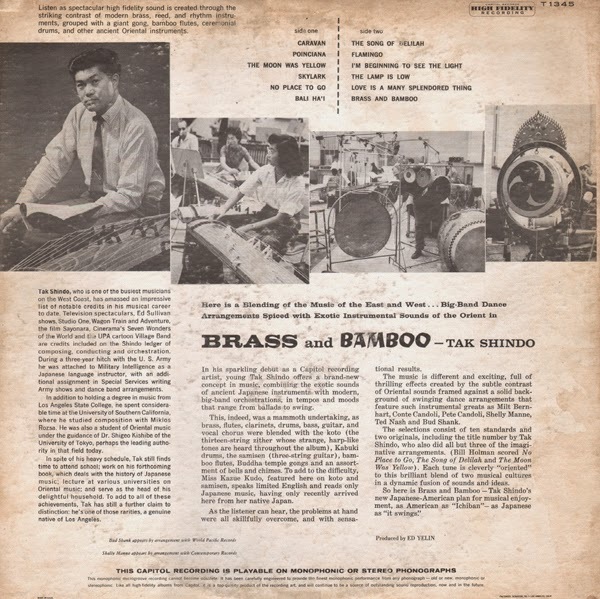 From Billboard - March 28, 1960: To prove there's still opportunity for originality, young Tak Shindo has found a way for East to meet West musically. 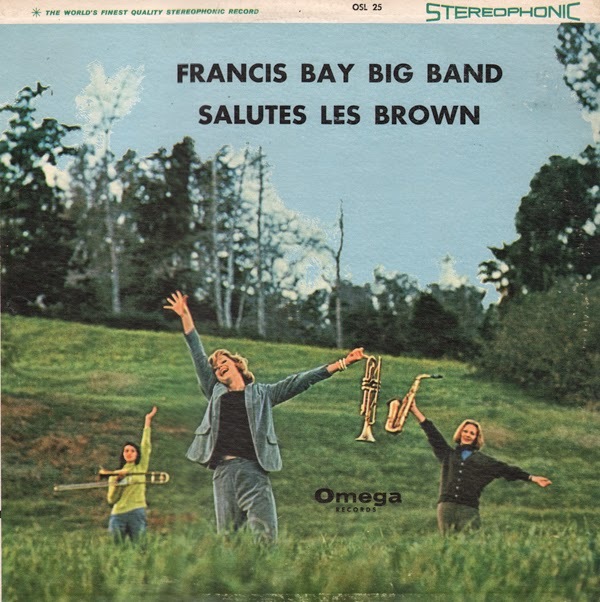 He had added a few exotic Japanese instruments to a big swinging which includes some top Coast jazz musicians (including Bud Shank and Shelly Manne). From the back cover: Kentucky-born Sam Taylor went to school in Gary, Indiana, where he was taught to play the clarinet. It was at Alabama State Teachers College that he learned how to play the alto and tenor sax. The tenor became his favorite and specialty instrument. From amateur to professional was a quick jump with jobs with the Cab Calloway and Cootie Williams orchestras. Currently he is free-lancing, appearing as a side man soloist and sometimes leader in TV – radio – recordings – night clubs and theaters. 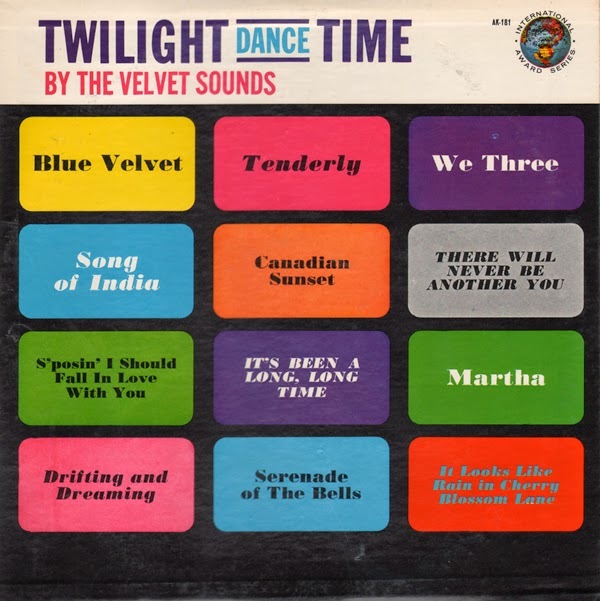 From Billboard - August 11, 1962: Smooth and often pretty, breathy, blowing by Sam Taylor on tenor, helps make this routine background music set stand out above the normal run. From the back cover: The Petty Girl as featured in Esquire / In his portraits of enticing young ladies for Esquire Magazine, Artist George Petty has performed a truly epochal marriage of the physics of the curved line and intangibles of glamor. Also from the back cover: It is with great pleasure that we introduce The Girl Friend to this album marking Harry Hermann's debut on Decca Records. Viennese-born, Hermann's intensive classical background is pointed up by the fact that at seventeen, he was playing with the Vienna Philharmonic under the direction of Richard Strauss. From Billboard - November 17, 1956: Here's a perfect holiday gift package series for men who appreciate pin-up type calendar art. 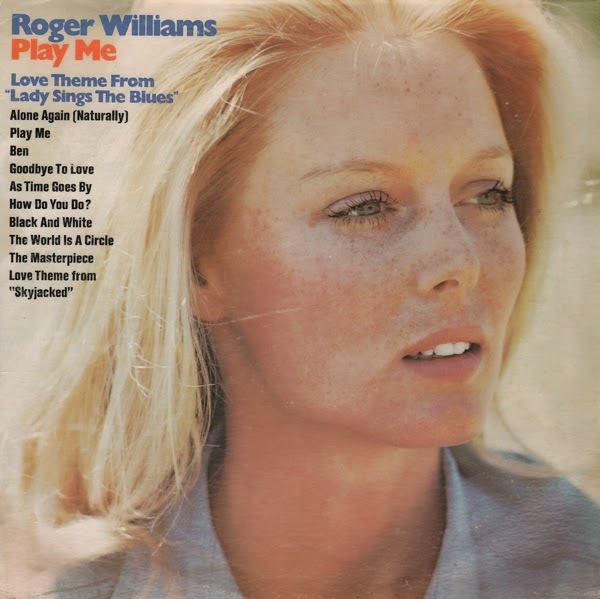 Altho the titles in the series are equally divided between music for "The Girl Friend" and "The Boy Friend" and "The Boy Friend," the covers – feature curvaceous Petty Girl drawings – are strictly for the boys, particularly those who were in their salad days when Petty works of art where in theirs. No track separation bands on this disc, just one solid session of lounge piano. 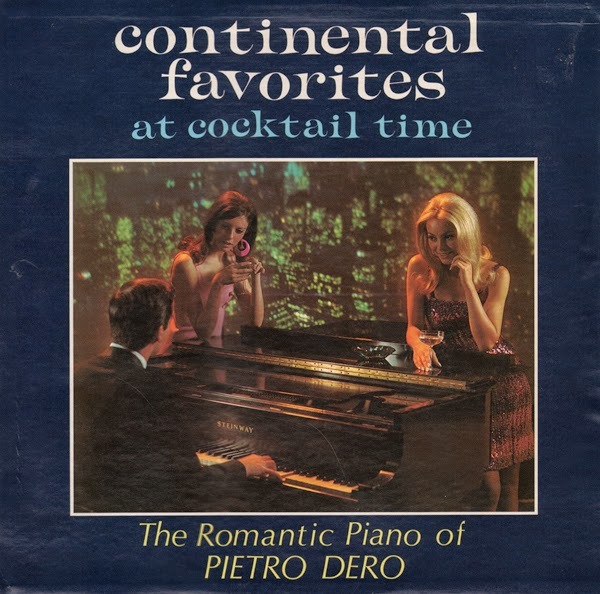 From the back cover: His (Dero) style is relaxed and to quote the maitre de of a leading supper club in Rome – "he sets a wonderful mood in the room, yet his piano stylings never rise above the conversational level of our guests." Available from digital vendors so I will not be posting a sample. 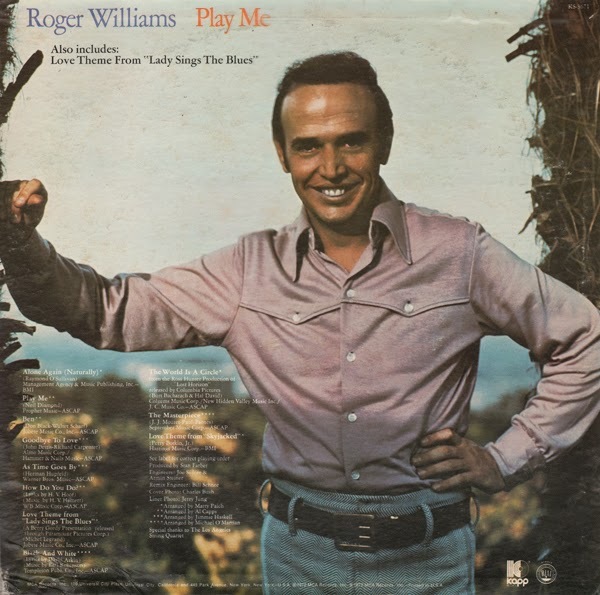 However, I wanted to share the cover art on this reissue. Originally release in 1953, the creative big band arrangements sound progressive compared to most period albums I've listened to. More of the "good stuff" from Kenton. Reeds: Lee Konitz, Vincent DiVittorio, Bill Holman, Richard Kameua, Bob Gioga, Jimmy Giuffre, Charley Mariano, Bob Cooper, Lenny Nichaus, Bud Shank. Tracks from this set are available from a variety of online digital vendors so I will not be posting a sample. Creative arrangements back Valente's fresh and energetic approach to these standards. From the back cover: The orchestra of Werner Muller, Kurt Edelhagen and Sy Oliver contribute to the brilliance of the performance – so right in tempo and taste for every national background. 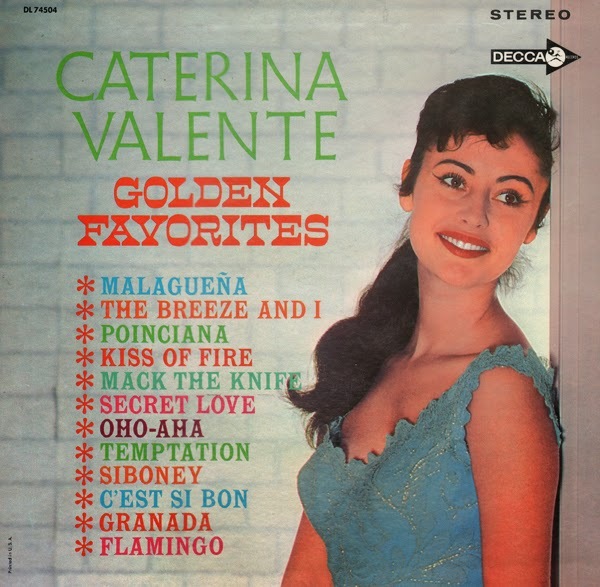 From Billboard - August 6, 1964: Here's a line-up of songs tailor-made for the exciting talents of Caterina Valente. An international favorite herself, Miss Valente's selections in this album prove the reason for her worldwide popularity… versatile talent.